If you want to know more about why social media is important for marketing, makes sure to read this article by Laura Spencer. Laura does a great job describing the benefits of social media for small businesses. After understanding the benefits, you will want to implement social media throughout your business. The goal is to create connections between all communication channels, including verbal, written, electronic, and printed. The list below will provide you details on the implementation of a comprehensive social media marketing plan. The first step is to ensure that you add social media links to your website. The links should be located in the header and/or footer and on the contact page. Adding social media share buttons to your blog posts and new articles will allow readers to quickly share the post, which increases how quickly your content will spread. Like your website, email marketing templates should include links to your social media pages. Encourage viewers to follow your social media accounts by including a strong Call To Action, and don’t forget to ask your social media followers to join your email marketing campaigns. Your printed materials such a brochures, flyers, and letterhead can include social media icons, social media urls, hashtags, or even QR codes that link to your social media pages. Social Media icons, QR codes, and hashtags can be printed directly on your product packaging, allowing your customers to quickly connect and begin engaging with you. Not everyone wants to connect over the phone or via email, especially younger generations. So include social media icons on your cards, so acquaintances know you are active on social media channels. You want to make it easy for others to contact you and build a working relationships. There is no reason why you can’t link your social media channels to each other. For example, you should include links to your Facebook page and Twitter profile on YouTube channel and video descriptions. There are plenty of online directories such as Yellowpages. Make sure your profiles include links to your website and social media. When interacting with your social media followers, ask them to rate and review your company. Another step to improve your online reputation. 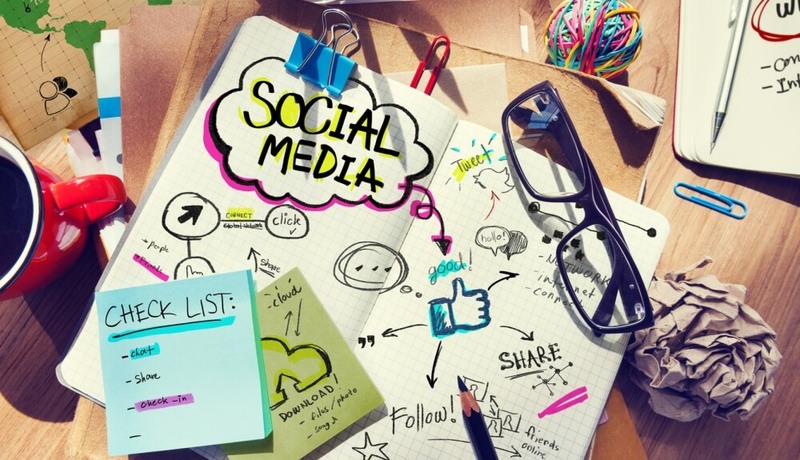 Depending on your specific industry, you might have more ways to include social media. Try to consider any interaction and how that can be improved with social media. You might try providing customer service or technical support via messenger. Or responding to questions through twitter. You will have to find what works best for you. These ideas are meant to increase customer engagement, which will improve your bottom line. You not only increase revenue, but you will improve your reputation and build your audience. Try leveraging social media throughout your marketing plan and throughout your entire business.